Lastly, we detect when the player sprite comes in contact with an astroid. 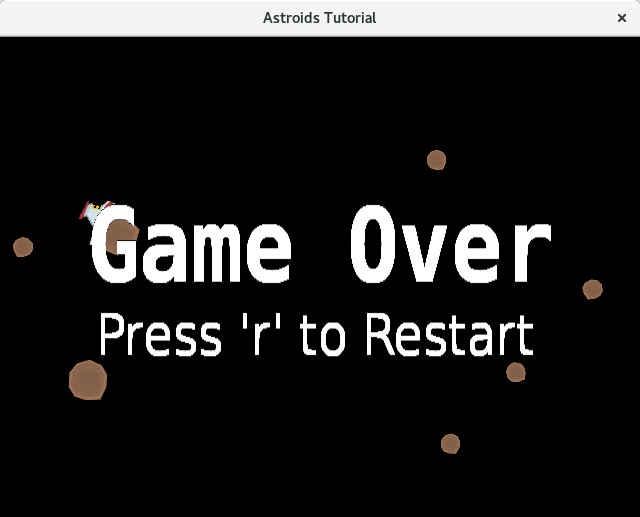 If it does, we stop the game loop and draw a gameover sprite on top of the screen prompting the user to press 'r' to restart. If the 'r' key is pressed in this state we execute a function to reset all of the values in the game and allow the game loop to pass through.